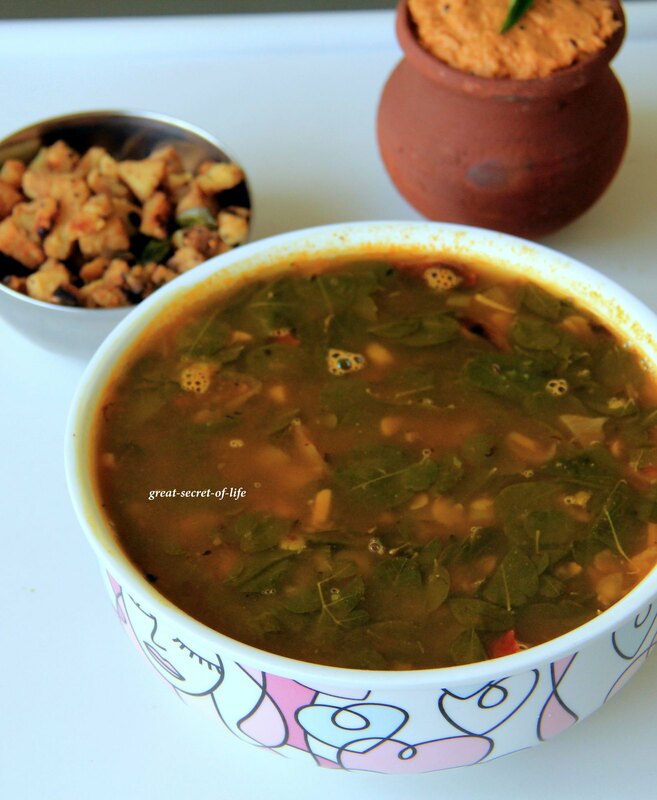 Normally I do simple Drumstick Leaves poriyal. Normally I buy one bunch. This time when I bought it i didn't realize the size was too small. After taking leaves it was really small portion. Not enough for Poriyal. 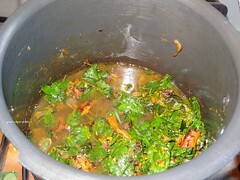 So have decided to do sambar. 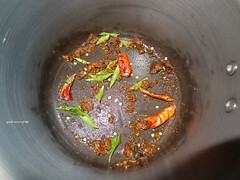 In a kada add oil and when it is hot add black vadavam, red chillies and curry leaves. Fry for 1 min. Add garlic and fry till they are brown in color. Add onion and fry till they are soft. Add drum stick leaves. Fry for 1 min. 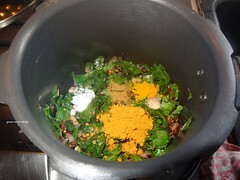 Add turmeric powder, sambar powder, salt and cumin powder. Mix well. 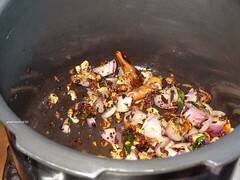 Add Tamarind and let it boil for 2 mins. 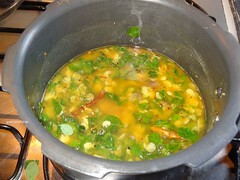 Add cooked thuvar dhal and mix it well. Close the lid and cook it for 1-2 whistle. 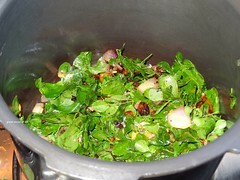 Drumstick leaves are a great source of iron right .Cannt get enough of it . Wow!! 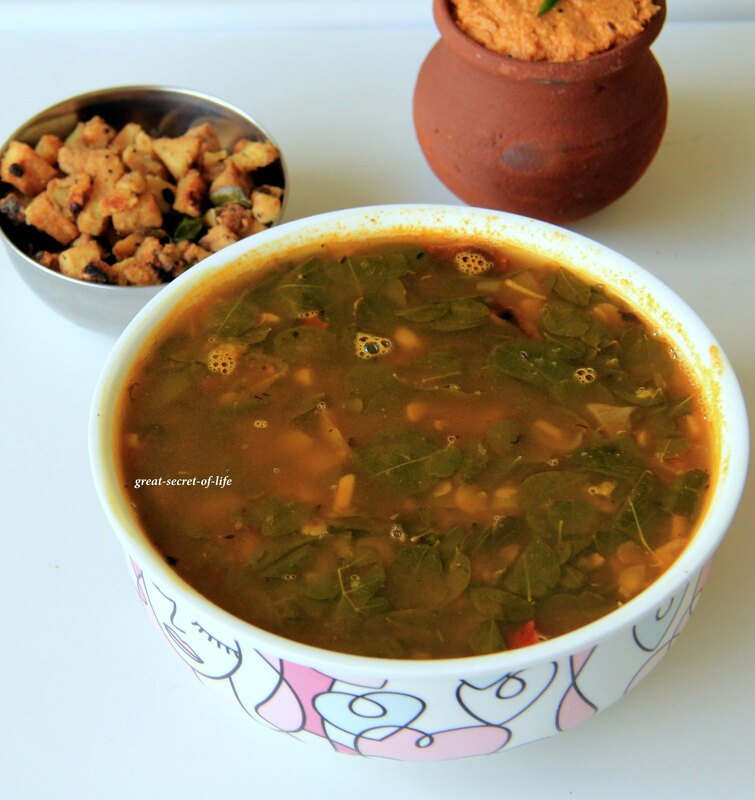 Healthy & yummy sambar!! 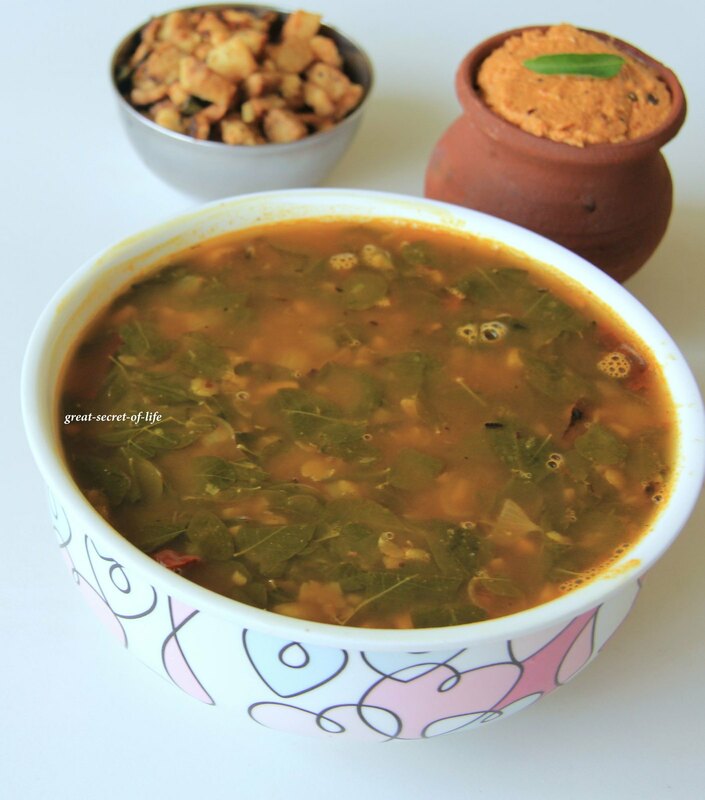 thats such a healthy Sambhar. lovely. Looks super yummy... Will try soon!